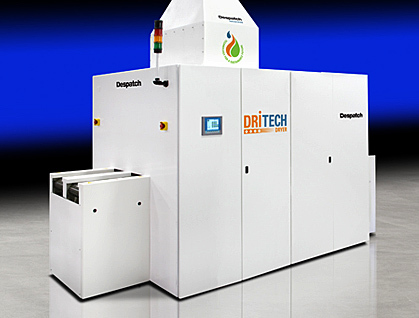 The DriTech™ Dryer introduces a unique hybrid heating technology that addresses industry challenges associated with faster belt speeds, increased paste VOC concentration and thinner wafers, while providing state-of-the-art metallization drying performance. The dryer is designed to decouple the VOC removal and binder burn-off for a more efficient drying process. Introducing five times the dilution air as conventional furnaces and internal insulation surface temperatures reduces tool contamination. While precise airflow management and a centrally located point-of-generation thermal oxidizer eliminates hazardous waste and facility contamination. Unlike, solely convective or IR drying, which rely strictly on a belt speed and temperature relationship, DriTech’s unique hybrid heating with Smart Tube technology provides a number of heat delivery mediums to efficiently and effectively remove solvent (VOC) from the paste while safely retaining the binder. The low temperature drying capability will ensure that each step in the drying process is separated with no compensation required downstream. 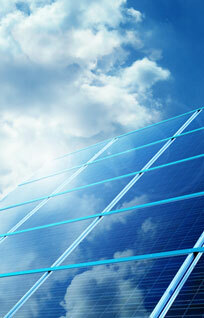 Cell performance and efficiency is improved for current and next generation cell architectures and materials.